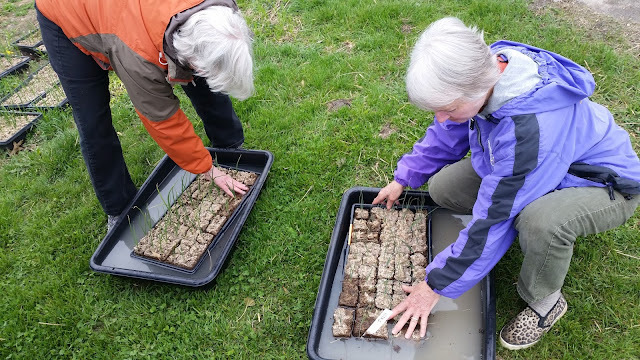 The Sustainable Couple: Planting A #FeedIowaFirst Garden. In my years as an educator, I have done a lot of volunteering. It's simply an unspoken requirement for the occupation. John and I also spent a considerable amount of time volunteering at a local animal shelter for a couple years. For the last two years we've been involved with Feed Iowa First, an organization that fights hunger in our area of Iowa by providing fresh produce to the food insecure. 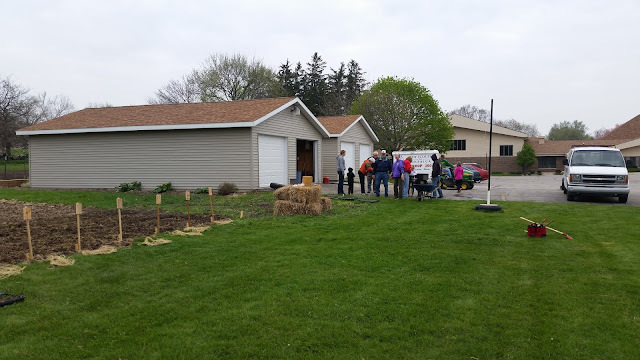 Our church asked Sonia Kendrick, the woman with the vision and power behind Feed Iowa First, to speak with our congregation about creating a farm on some of the land on church property. The rest is history, because our church is now home to a massive onion farm. 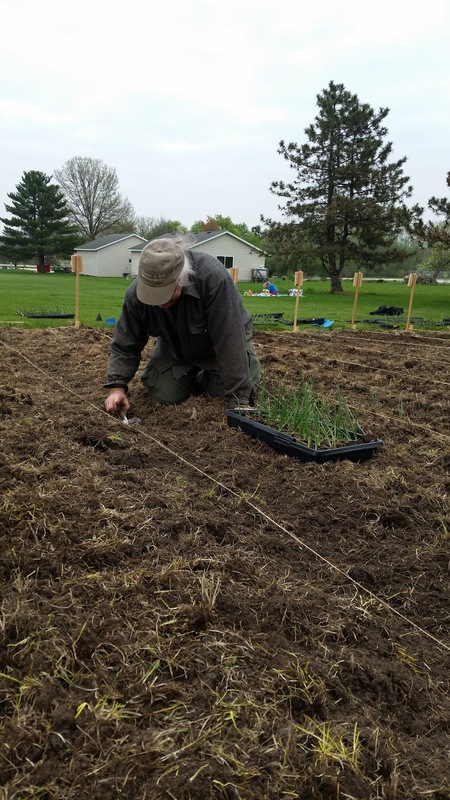 In fact, we have twenty-five 100-foot rows full of a variety of onions and leeks. 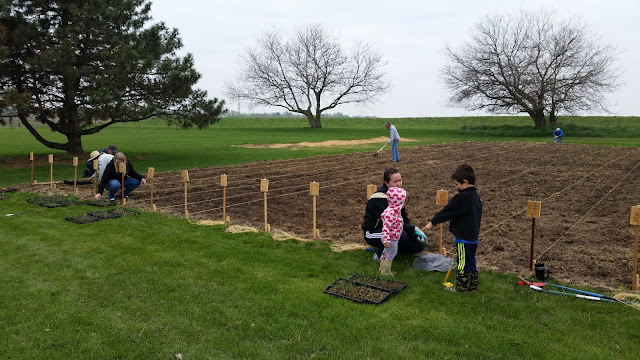 Sonia and Feed Iowa First provided the seedlings and sets, and families from our congregation adopted a row (or two). 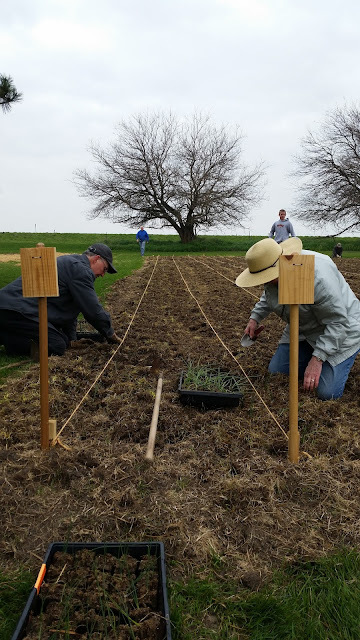 We are responsible for planting, maintaining, and then harvesting the onions. Sonia will make sure the onions get to the hungry in our area. She has a Veggie Bus that is driven to low-income areas, where folks can board the bus and take as much produce as they want. Feed Iowa First also donates produce to food banks and local organizations that have the capacity to keep the produce fresh for the folks who need it. The work that we put in on a cold, windy spring morning was difficult. It wasn't glamorous, and it was pretty messy. But hunger - food insecurity - isn't glamorous, and it can be very messy too. Another thing I learned while working in education is that breaks from school are very hard on families, especially those families that struggle to afford food. Children can typically count on breakfast and lunch during the school year, but in the summer they lose the dependability of regular meals. Many communities offer sack lunch programs, and some schools stay open for at least one meal during the summer break. Other children don't have that option, and therefore their parents rely even more on over-stretched food pantries. The problem is that those food banks often stock only processed, shelf-stable foods. Many do not have the capability to keep or distribute fresh produce. 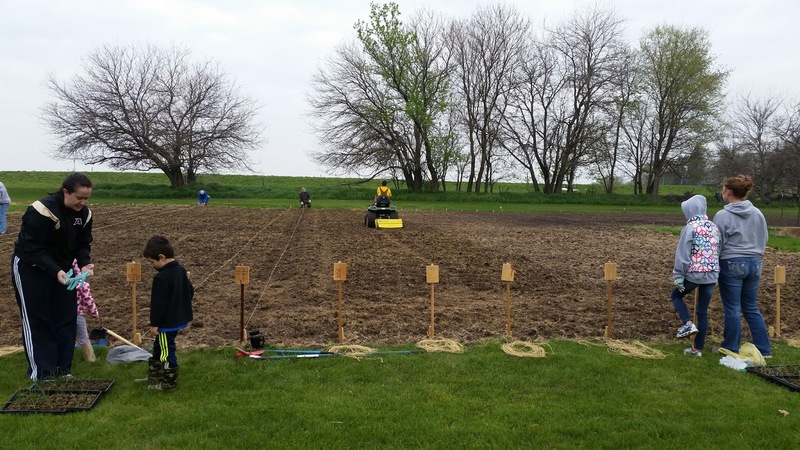 Feed Iowa First is alleviating that problem in our area. As Sonia told our congregation this spring, "The food insecure shouldn't have to rely on Ramen noodle and mac-n-cheese. They deserve fresh, healthy food too." This is why John and I and our friends from church jumped at the chance to support Feed Iowa First. 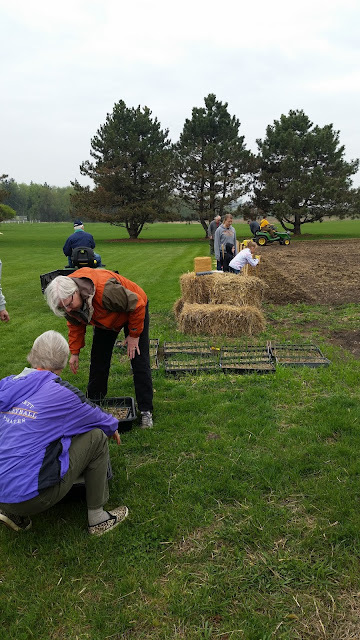 This is why a large group of us gathered in the cold to sow, and why we gather in the heat to maintain the rows of beautiful onions, and why we will gather again in the fall to harvest. 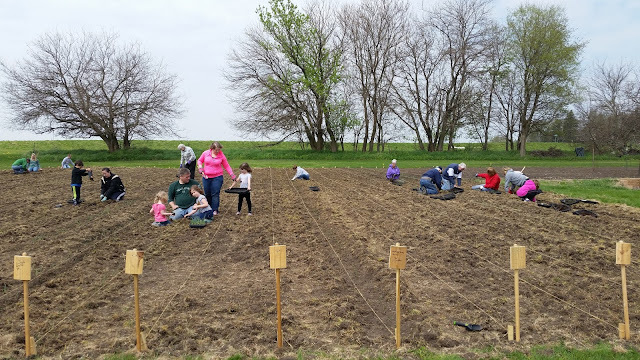 If you would like to make a donation to Feed Iowa First or get involved in any capacity, please GO HERE to learn how. You can find them on Facebook HERE.